After her father’s escape from a Syrian prison, her parents had fled the country, leaving Khatib behind with her grandparents. Once the Khatibs settled in Denver, they reclaimed their daughter, and eventually they moved the family of six to Toronto. But they were emotionally spent. Khatib’s mother mourned the loss of her medical career, while her father was plagued by memories of torture. Neither noticed Khatib withering away. “I went from a rambunctious kid to a withdrawn child,” she says. The newcomers were in dire straits. Many were sick, most required housing and few spoke English. The settlement agencies were overwhelmed. That’s why Khatib co-founded the Syrian Canadian Foundation (SCF), a volunteer-run national organization that enlists established Syrian-Canadians to help integrate newcomers into Canadian society. Initially, the organization tackled refugees’ survival needs, including clothing, housing, health care and English tutoring. Nearly two years after the first wave of newcomers arrived in Canada, some are thriving. Others, though, are struggling. Traumatic memories that had been repressed often resurface. 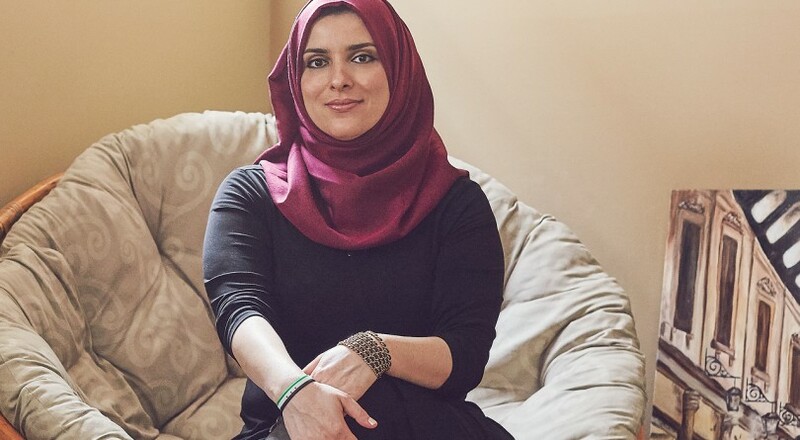 The SCF refers newcomers to culturally sensitive health practitioners and has partnered with the Al-Qazzaz Foundation, an organization that helps vulnerable communities using educational technology, and where Khatib works as director of communications. Together, they provide refugees with a Mental Wellness First Aid Kit, a video that offers parents self-care advice and tips on soothing their anxious children. The next partnership project will be a mentorship program for youth from disadvantaged communities.